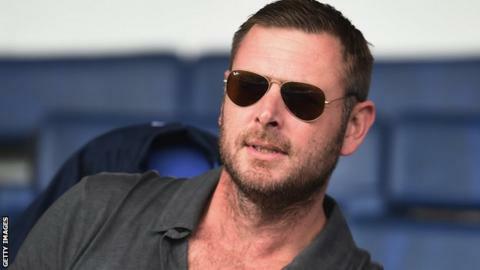 Peterborough United chairman Darragh MacAnthony says he has a four-man shortlist for the vacant manager's job. The League One side have been under the caretaker charge of Grant McCann since Dave Robertson's sacking on Sunday. Ex-Northern Ireland international McCann has not revealed whether he is interested in the permanent job. Meanwhile, Rotherham boss Steve Evans - the bookies' favourite - missed his usual Thursday media conference because of an internal meeting. McCann would not be drawn on if he wanted to job on a full-time basis, telling BBC Radio Cambridgeshire: "All I'm doing is focusing on the job at hand and that's the game at Oldham. "I don't take much noticed of what's going on in terms of the bookies or a manager shortlist."